The term “control of your playoff destiny” is thrown around a lot. The 3-6 Mountain Hawks were in control of their destiny this weekend. 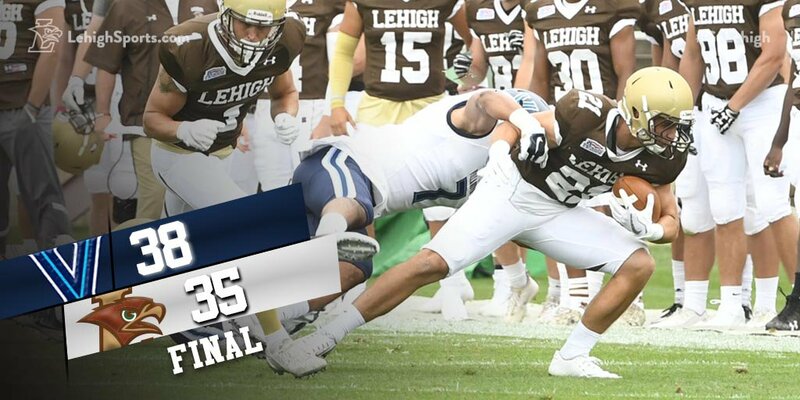 Win against Holy Cross, and Lehigh will stay alive for no worse than a co-Patriot League Championship and possibly a ticket to the FCS Playoffs. 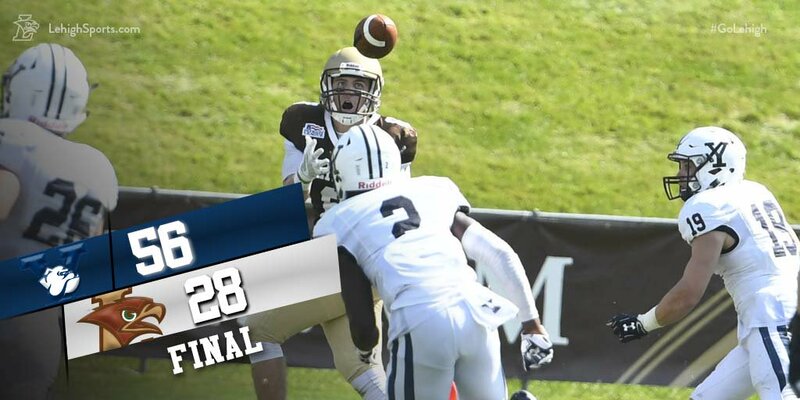 By the time the clock hit triple zero’s, the Mountain Hawks did what they had to do, beating the Crusaders 34-21, and keeping destiny in their own hands with one more regular season game to go – the 153rd meeting of The Rivalry next weekend vs. Lafayette. Junior RB Dominick Bragalone carried the offense on his back with 30 carries for 205 yards and 4 touchdowns, but he and the offense fed off the energy of some big Lehigh defensive and special teams plays. Once Lehigh went up 14-0, Holy Cross would never get any closer than a touchdown. The ambulance came onto the field for the third time during a Lehigh football game. On this occasion, it was that senior TE Drew Paulsen was trying to recover an onsides kick for the Mountain Hawks. Down only a field goal, head coach Andy Coen was trying to get the ball back to take advantage of momentum. On the tackle, he had a head or neck injury, necessitating for the third time this year that an ambulance had to come on to the field for a Lehigh game. The extremely-loved senior out of Tampa, Florida was carted out on a gurney, and headed to local Presybterian hospital for observation. On the TV broadcast, they showed tears from some of the players on the sidelines. Lehigh lost to Fordham, 45-35, in an extremely frustrating game where the Mountain Hawks turned over the ball four times, twice in the red zone, and twice setting up Fordham in their red zone. But the injury to Paulsen, and the right leg injury that came up earlier to senior DT Jimmy Mitchell, was the focus after the game. The worries were clearly centered around the two seniors’ well-being. 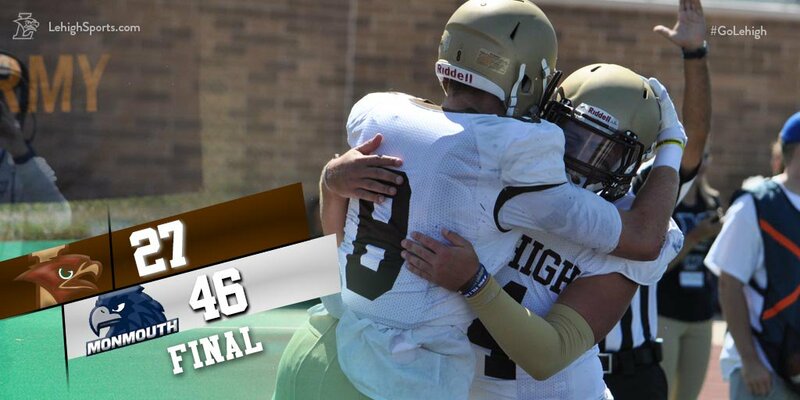 Before the game, the Lehigh sports social media team had some graphics ready for a record that senior WR Troy Pelletier had a high probability of breaking today. Troy, or “The Doctor”, as I call him, had to get 60 yards receiving to beat the Patriot League record for receiving yardage. After he skied past that record, the social media folks had to keep assembling a lot more graphics. By the end of the game, more records would be falling left and right. The career Patriot League touchdown record – the first time since 2001 since a Lehigh player nabbed 4 touchdown receptions in a game. Somewhere in the fourth quarter, he’d grab his 16th reception, breaking his own record for receptions in a game. 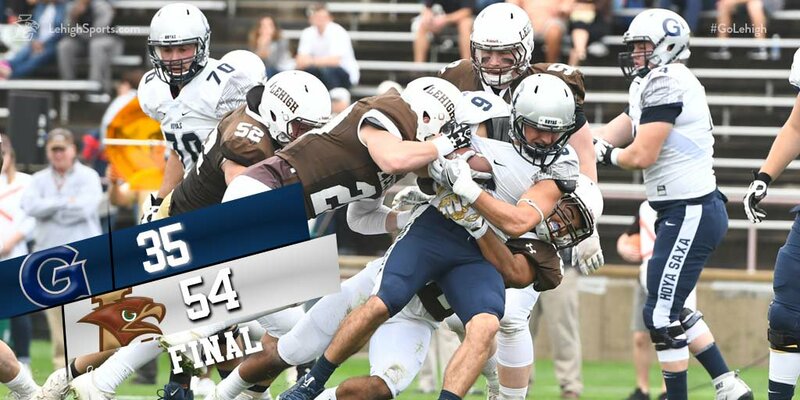 In the end, Lehigh cruised, never trailing in a 54-28 win over the Hoyas, but the story was Pelletier, whose amazing 16 catch, 197 yard, 4 TD game was the talk afterwards. It was Colgate 28, Lehigh 14 as the first half was coming to a close. The Mountain Hawks had the ball, but the pall over Lehigh fans everywhere was very evident – “here we go again,” most seemed to be thinking. You couldn’t blame fans necessarily for thinking that way, of course. The Mountain Hawks hadn’t found out yet this year how to pull out a game like this, and normally, a two-touchdown deficit to Colgate feels like a four-touchdown deficit, the way they run the ball and gradually crush the spirit of opposing teams. Driving and scrambling – somewhat of a broken play – junior QB Brad Mayes found junior RB Dominick Bragalone downfield with a big 35 yard touchdown pass, cutting the deficit to 28-21. And then, gradually, over the course of a half of football, Lehigh put mistakes behind them just as the uncharacteristic mistakes by Colgate seemed to mount. One Colgate touchdown would be called back. Then another. 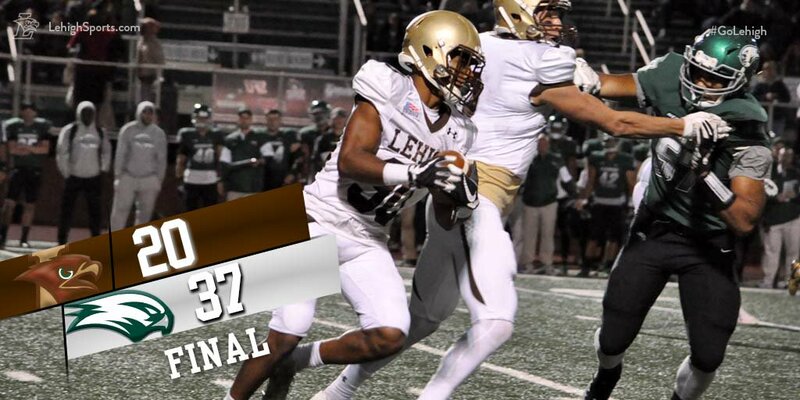 And Lehigh would battle back to tie the game twice, fall behind by a field goal with 5 minutes to play, and then score the winning touchdown and get a game’s only turnover at the exact right time to preserve the win. Somewhere, Al “Just Win, Baby” Davis was smiling.